What’s Your Attitude Towards Challenges? 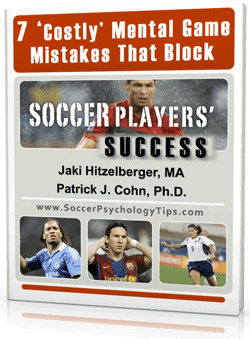 How do you approach challenging soccer games? What is your attitude like when the odds are against you? 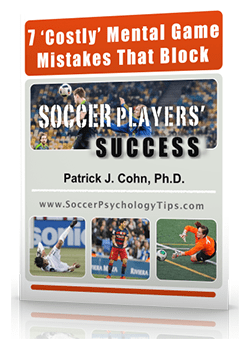 You play tentatively instead of attacking the ball… Not your best performance on the field. What causes some teams to rise to challenges while other teams become demoralized? It is all about your attitude toward challenges. Your attitude will affect how you prepare for a game and the level of play on the field. The United States Men’s National Team is facing many challenges as it prepares the 2014 World Cup in Brazil. The USMNT is ranked 14th in the world by FIFA going into the tournament but had a difficult draw. The USMNT open the tournament against Ghana who knocked them out of the last two World Cups in a row. The USMNT will face powerhouse Germany in their third game. Not only do the USMNT have a difficult draw but the U.S. men will have to travel farther once in Brazil to play their matches than any other team (about 11,500 miles). The USMNT will need to overcome the negative effects of jet lag, crossing time zones and sweltering temperatures in order to make it to the knockout rounds and have a successful World Cup. 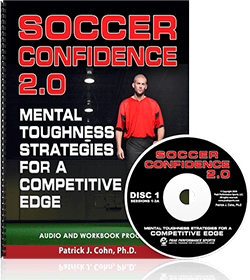 View tough games as challenges or opportunities to lift your game up to the next level. This positive mentality will help you to remain calm. Stay focused on your team’s skills and talents. If you are in awe of your opponent, you’ll feel intimidated and take the focus off what you can do in the game. Feel more in control and manage anxiety by disregarding all those things you have no control over (weather, travel, and schedule).